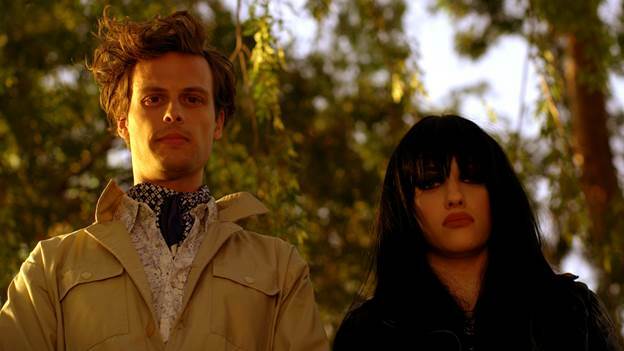 Matthew Gray Gubler and Kat Dennings are setting out to solve the mysteries of the spirit threatening their small town in the trailer for their upcoming horror comedy, ‘Suburban Gothic.’ The video investigates the unknown spirit that’s haunting the area, after the movie was brought to audiences’ attention at last year’s Fantasia Film Festival. ‘Suburban Gothic’ was directed by ‘Excision’ helmer, Richard Bates Jr., who co-wrote the horror comedy with Mark Linehan Bruner. Besides Gubler and Dennings, the movie also stars Barbara Niven, Ray Wise, Sally Kirkland, Muse Watson, Mel Rodriguez and John Waters. FilmBuff is set to release the film on January 30 in theaters and VOD. Raymond has a prestigious MBA, but he can’t find work. He can channel the paranormal, but chatting with a cute girl mystifies him. Kicked out of his big city apartment, Raymond returns home to his overbearing mother, ex-jock father, and beer-bellied classmates. But when a vengeful ghost terrorizes the small town, the city-boy recruits Becca, a badass local bartender, to solve the mystery of the spirit threatening everyone’s lives. For more information on ‘Suburban Gothic,’ visit the horror comedy’s Facebook page. Watch the movie’s trailer below.